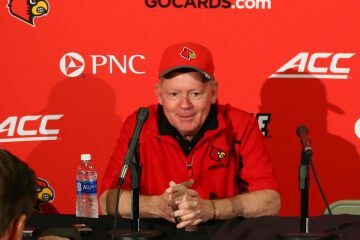 The University of Louisville has reportedly hired its 24th head football coach. Athletics Director Vince Tyra has reportedly picked Appalachian State’s Scott Satterfield following a 22-day search. Louisville announce Satterfield at a press conference tomorrow 12/4 at 4:30 p.m.
Scott Satterfield has spent almost the entirety of his career in Boone, NC with Appalachian State starting in 1991 when he came to play Quarterback for the Mountaineers. Satterfield started 27 games during his playing career and as a senior completed an undefeated regular season that ended in the D1-AA Quarterfinals. Satterfield was named the Wide Receivers coach at App State for the 1998 season, moved to coach the Running Backs from 1999-2002 before transitioning to coach the Quarterbacks from 2003-2008. Then Scott left Boone, NC for the first time to coach the Quarterbacks for Toledo in 2009 and was quickly hired away by Mario Cristobal to assume playing calling duties as Florida International’s Offensive Coordinator for 2010-11. It was Satterfield calling the plays when FIU and TY Hilton shocked Louisville in Week 2 of the 2011 season. Satterfield returns to call the plays at Appalachian State for the 2012 season as Offensive Coordinator and was named the Head Coach following legendary Mountaineer Head Coach Jerry Moore retired at the 2012 season’s conclusion. As a head coach Scott Satterfield was the Appalachian’s State’s shepherd through the transition from FCS to FBS football from the 2013 to 2014 seasons. Satterfield is 51-24 as a head coach despite some lean years during that FCS and FBS transition, but starting with the program’s 2nd year in FBS Appalachian State is 40-11 with 4 bowl berths, 3-0 in those bowls (school is headed to the New Orleans Bowl to play Middle Tennessee State). 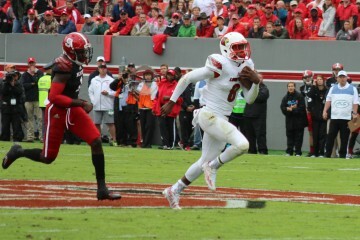 TheCrunchZone.com will keep its readers up to date on developments related to the hiring of Scott Satterfield as they become known. So You Want to Join a Union?? ?